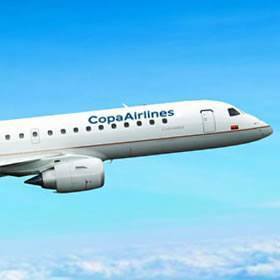 Copa announced its financial results for the second quarter of 2018 (2Q18) yesterday and increased fuel costs were blamed for a massive drop in both operating and net income. The airline also confirmed it was in discussions with United and Avianca on a joint venture operation. Copa reported net income of US$49.9 million for 2018 second quarter whereas it managed US$58.6 million in the same period in 2017. Operating income for 2Q18 came in at US$57.1 million, representing a 27.3 percent decrease over operating income of US$78.6 million last year. The carriers load factor increased slightly to 83.5 percent and the airline managed to achieve a very respectable on time performance of 89.9 percent and a flight-completion factor of 99.8 percent, maintaining its position among the best in the industry. 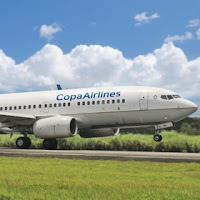 Copa has a fleet of 101 aircraft – 68 Boeing 737-800s, 14 Boeing 737-700s, and 19 Embraer-190s and in July, Copa Airlines was awarded "Best Airline" and "Best Airline Staff" in its region at the Skytrax World Airline Awards. 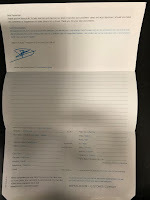 Other July milestones for the carrier saw it began services to its 16th destination in the Caribbean, Bridgetown, Barbados, its 8th and 9th destinations in Brazil, Fortaleza and Salvador de Bahía. Other plans, revealed this week is the ongoing discussions with United Airlines and Avianca over the possibility of establishing a three-way joint business agreement that would combined networks between the United States and Latin America. The discussions are at an early stage at present with no details of the extent of the potential joint venture or when it will be finalised. (1)Adjusted Net Income and Adjusted EPS for 2Q17 exclude non-cash charges/gains associated with the mark-to-market of fuel hedges. * Restated for retrospective adoption of IFRS15.